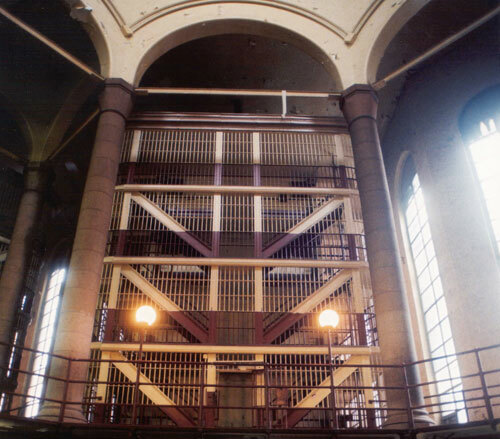 The Allegheny Jail was designed in the late 1800s by Henry Hobson Richardson. It was occupied in September 1886 and served as a jail until 1997. Today the building has been renovated and is now the Allegheny County Family Courts. While few architectural changes were made to the exterior of the massive stone structure, the interior underwent a transformation. The once dark and dismal atrium of the jail is now bright and airy. This look is achieved with a five-story glass curtain encircling the atrium and separating it from the working courtrooms and office space. 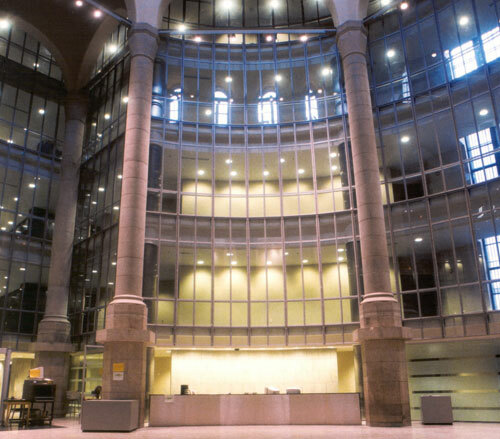 Light borrowed from the office and courtroom areas overflow into the atrium creating a dramatic effect. Unique to the renovation was the fact that once the jail cells were removed, the architect was working with a very large empty space. The new court, a modern facility of offices and hearing rooms, was built inside the shell of the historic structure. 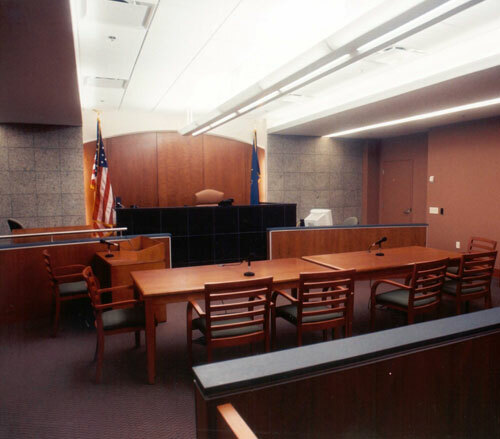 In the courtrooms, the main fixture is centered in the room and is surrounded by cove lighting. The cove mounted fixtures produce an indirect light reflecting off of the ceiling while the pendant mounted center fixture produces a 70% / 30% split between indirect ceiling and down light. The front wall of the courtroom, the wall behind the judge's bench, is washed with indirect light from another cove light. 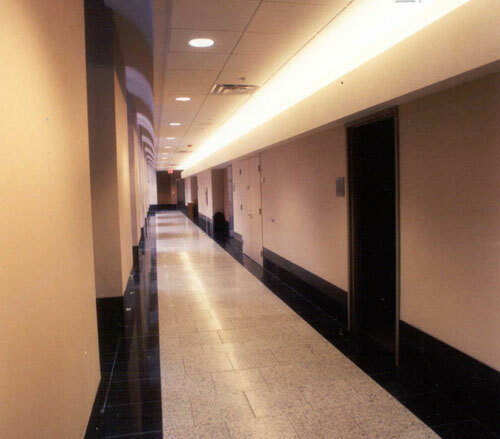 The corridors combine down lights for general and emergency lighting with cove lights for fill. In the corridors adjoining the atrium, indirect lights are used for general fill lighting and spots for accents. While respecting the historically significant design, lighting became an important contributor in making this landmark building a new, modern court facility.